Are stress and sleep apnea connected? Stress can affect many aspects of your physical, mental, and emotional health, including sleep. Specifically, sleep apnea may be worsened by stress, and can also cause stress. Sleep apnea is a common yet serious sleep disorder that causes you to repeatedly stop and restart breathing as you sleep. This can happen hundreds of times a night without your knowledge and is most often caused when your airway becomes partially blocked, obstructing your airflow. Research suggests that stress and sleep disorders like sleep apnea can be linked. Each affects the other. Stress can cause you to have issues sleeping, and not sleeping enough or having a poor quality of sleep can cause stress. How else does stress affect your sleep? If you’re under stress, it’s likely to worsen if you have sleep apnea. 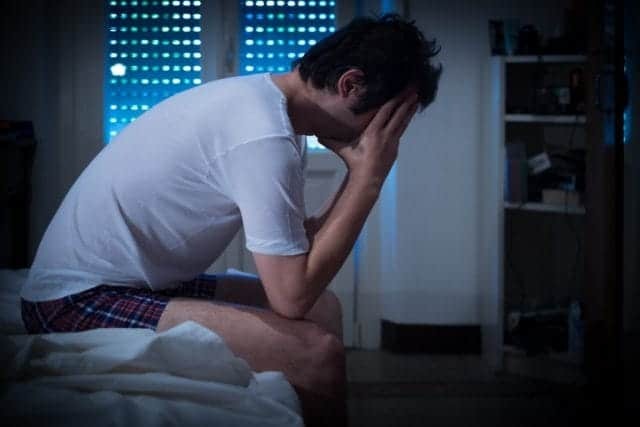 The lack of restful sleep can lead to depression and anxiety, and the fact that you’re waking up gasping for air (even if you don’t remember it) can leave you feeling panicked and breathless even after you’re awake. When you receive too little or a poor quality of sleep, it compounds the stress you’re regularly experiencing, which can further interrupt your sleep and start a vicious cycle. What are some ways to help reduce stress? Identify your stressors: The first step in reducing stress should be to determine what’s causing you stress. Do you have a demanding job? Do you suffer from pain? Once you identify what’s causing stress, you can take steps to reduce it. Get support: Friends and family can provide support that may help reduce stress. If you need to, talk to your doctor or therapist about the amount of stress you’re experiencing. Exercise: Getting exercise daily can lower your stress levels by reducing mood-enhancing endorphins and also loosen tight muscles. Learn to say “no”: If you experience stress because you have too much to do, say “no” to some requests. See a Dental365Sleep doctor about your sleep apnea: Receiving treatment for sleep apnea and discuss if a custom-fitted oral appliance can help you sleep better and more restfully so you function better during the day and feel less stress. If you have symptoms associated with sleep apnea or have been diagnosed with this disorder, contact Dental365Sleep at 844-831-6100 or stop by one of our many NYC locations. We offer modern oral solutions and can recommend additional therapies to help treat your sleep apnea and reduce your stress.